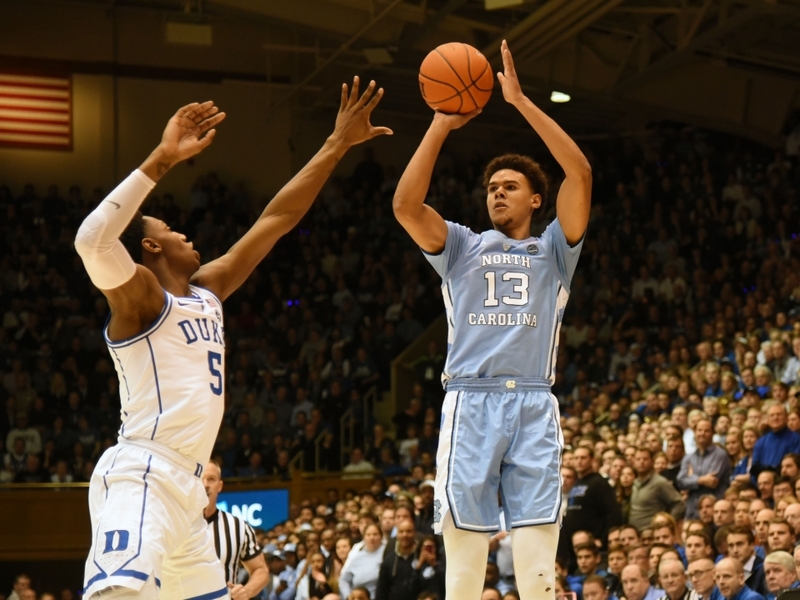 The Duke Blue Devils (27-5), led by forwards RJ Barrett and Zion Williamson, meet the North Carolina Tar Heels (27-5), led by guard Cameron Johnson, in a semifinal of the ACC men's basketball tournament on Friday, March 15, 2019 (3/15/19) at Spectrum Center in Charlotte, North Carolina. Both teams will advance to the NCAA Tournament, which begins next week. Buy Duke and UNC via Fanatics and Champs. Buy tickets to ACC or NCAA Tournaments via PrimeSport and StubHub.